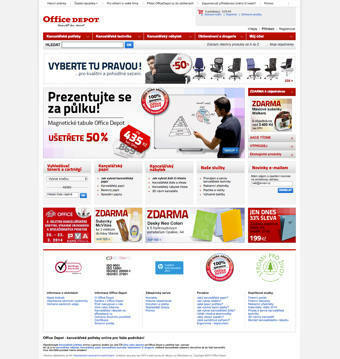 Office Depot has been a long-term office supplies market leader in Europe both offline and online. Office Depot provides everything a customer needs to increase its productivity including cutting-edge technologies, essential office supplies, imprint services, document management, and printing solutions. It also provides complete services concerning office equipment, school supplies, and a full product portfolio for facility management. 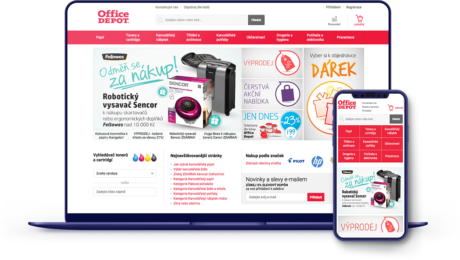 Since 2009 the Office Depot’s e-commerce site has run on a global solution which didn’t entirely fit the Czech market and its specific criteria. The connection to sophisticated internal business processes and overall design wasn’t optimal, and the user friendliness of their app (especially for mobile devices) wasn’t up to industry standards when it came to being a market leader. The goal of the project was to create a modern and robust solution which would help the Office Depot company to reinforce their leading position on the market. To address this, Shopsys and Office Depot created a joint team for the project (Shopsys 6 members, Office Depot 2-5 members). After a thorough analysis, the suggestions for wireframes were made. Wireframes were properly tested before the design creation itself, and the development of the project got underway according to an agile approach. Regular client consultations, getting approval for individual parts of the project, and establishing a close cooperation between the technical Office Depot team and the project Shopsys team were absolutely vital. The agile development allowed us to keep the deadline of the website’s release, even though the needs of client were changing during the project realization. up-to-date technology, antivirus and DDOS attacks security, procedures for handling breaches and solutions for crisis scenarios (power cut, fire, etc.). The new online shop has consistently brought in growing sales year to year, improved conversion rates, and bumped average order values - all of which have seen increases of 10% and more. 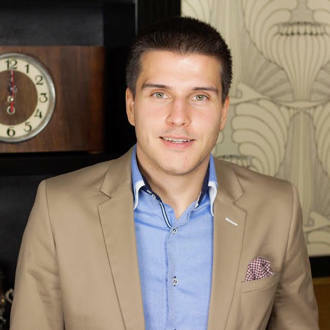 The biggest results were seen in returns on initial investments which were nearly doubled in the first 4 months following the launch of the new e-commerce site. Office Depot has a credit including tens of programming hours a month in the Maintenance 2.0 service because the relationship with our clients doesn’t end with the completion of a website. Continued support allows us to not only add new functions regarding individual needs, but also respond flexibly to customer and market demands.